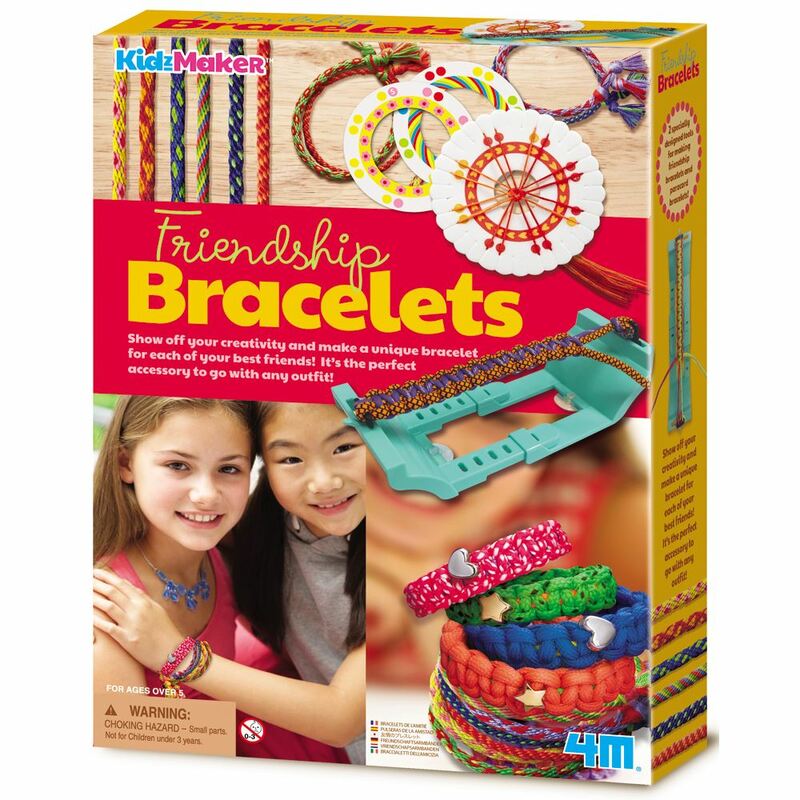 Use the 4M Friendship Bracelet Kit to create the perfect accessory to go with any outfit. Show off your creativity and make a unique bracelet for your best friends! 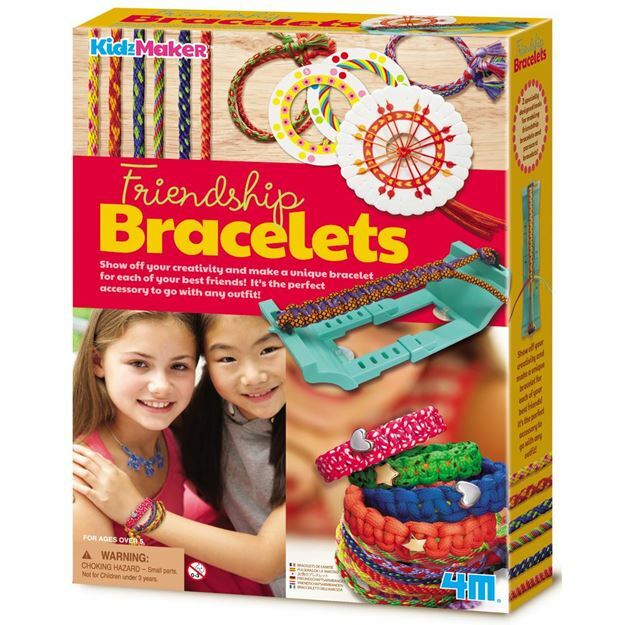 Includes: a friendship wheel, paracord bracelet braiding tool, paracords, 6 spools of thread material for making 9 bracelets and detailed instructions. Age 5+ years. Part of the KidzMaker range. Distributed in New Zealand by Holdson.